Submitted by lynn on Sunday, September 3, 2006 - 6:55pm. 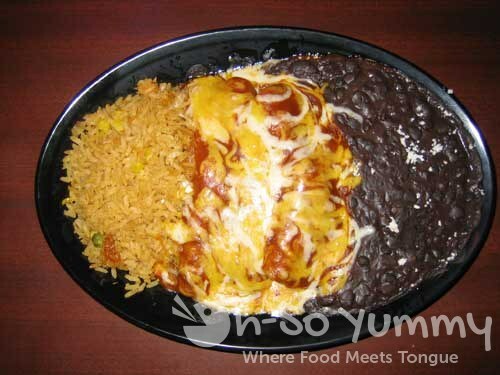 When I think of foods I want to eat, Mexican food does not cross my mind often. There aren’t too many dishes that appeal to me and it’s a bit unhealthy for my taste. Think of all that cheese and what not... But, two places can win me over. One is El Caribe in North County San Diego, and the other is Fred’s Mexican Cafe. If you want some delicious, yet healthier than most other mexican food, these two are the places to go. 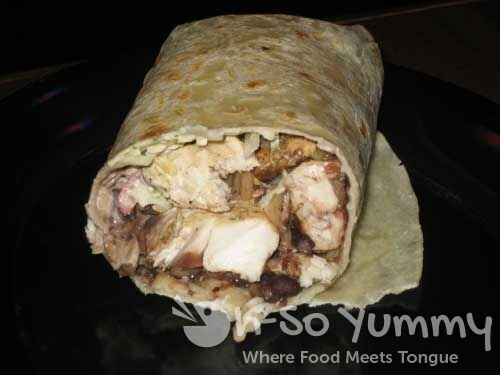 At Fred’s, I ordered the grilled mahi mahi burrito (5.49), which is a darn-right tasty burrito. I’ve ordered the mahi tacos before as well and those are also superb. I like mahi anything if it tastes right! Being the picky eater that I am, I don’t order mexican combo platters because I’m not a fan of the rice and beans BUT my cousin Hai isn’t that way. He ordered the chicken enchiladas (5.49), which he thought were good, but not as filling as my burrito. The sides were standard grub. for only 1.50 a taco! Now that’s a sweet deal! More mahi tacos for me please! This place has some good happy hour specials with huge margarita glasses for around 2 bucks I think? This is a decent place to eat before going out for the night, especially if you’re already going to be in the Pacific Beach area.